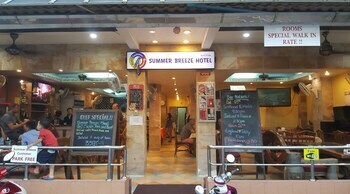 A stay at Summer Breeze Hotel places you in the heart of Kathu, within a 10-minute walk of Patong Beach and Bangla Road. Featured amenities include a computer station, complimentary newspapers in the lobby, and dry cleaning/laundry services. When you stay at Smile Bungalows in Koh Phangan, you'll be on the beach and steps from Bottle Beach. The front desk is staffed during limited hours. With a stay at Salad Villa in Koh Phangan, you'll be within a 10-minute drive of Ban Chalok Beach and Salad Beach. Mint House - Hostel is in the heart of Chiang Mai, within a 5-minute walk of Chiang Mai Gate and Pratat Chedi Luang Temple. Featured amenities include luggage storage and laundry facilities.